Stop me if you've heard this one before: A group of teenagers head to a remote, nearly abandoned tourist trap for a night of wild partying. Not long after they get there though, odd things start to happen. Unsettling things. They poke around where they shouldn't, accidentally wake up a long-dormant supernatural force that immediately begins to work its dark intentions against them. They get separated. They get paranoid. They uncover secrets that hint that the tourist town they've arrived in might not be as quaint as they thought. Soon they're running for their lives. It's all very '80s horror-romp. However, Oxenfree is anything but generic. It takes inspiration and cues from old movie tropes and survival horror games but it plays with them, using the expectations they instill to head-fake the audience. It dials into its own style and mood, tapping into something very heartfelt and special. It might just be the best “horror” game I've played in years. I say “horror” in quotes because the actual spook-factor of Oxenfree isn't that high. This isn't an Amnesia-style gorefest or a Freddy's jumpscare marathon. 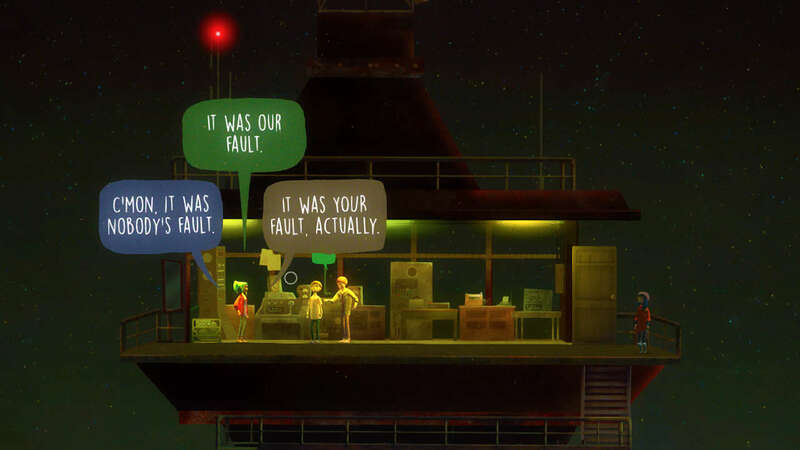 Oxenfree trades in unease and tension more than outright scares. Think of it more like It Follows than Sleep Away Camp. It's an effective technique. Since you're not wading through blood and viscera at all times, the few moments of hard-hitting violence and terror are that much more jarring. Oxenfree starts with a group of teenagers having a party on an island tourist trap (and one-time military base) near their hometown. Testing out an urban myth involving radio signals and a spooky cave, they accidentally unleash a mysterious entity that seems to have a strange relationship to normal space and time and nothing but malicious intentions on them. The island destination is rendered in a gorgeous dreamlike art style of watercolors and soft light. The normally smooth picture-book aesthetic of Oxenfree's world makes it all the more unnerving when the entity breaks its way into reality with Tron-like neon colors and sharp geometric shapes hanging unnaturally in the sky. It soaks it all in a phenomenal synth-heavy soundtrack from SCNTFC (Galax-Z, Sword & Sworcery) that perfectly alternates between wistful and unnerving. Let me say it plainly, Oxenfree is very light on gameplay. There are no real puzzles to solve, no panicky QTEs to click on, no last-minute boss fight to clumsily fumble through. This is a game about talking. The single most mechanically meaningful thing you do in the game is respond to dialogue options in Aaron Sorkin-style “walk-and-talk” conversations that alternate seamlessly between sarcastic teen bonding, stick-a-knife-in-it awkward stand-offs, and genuinely touching moments. Each conversation option is represented by word balloons you pick with a touch of a button. The tone of the response is hinted at by the phrase in the word balloon similar to the system used in Mass Effect (and done noticeably better than in Fallout 4, I might add). Unlike the galaxy-saving Shepard however, Alex's (the playable protagonist) dialogue isn't laced with heroic speeches or badass threats. She's a teenaged girl who had a lot on her shoulders before the whole spooky-possibly-haunted-island thing started happening and she carries herself like one. She jokes with her friends, gets freaked out, and argues over pointless trivia, like a real person who suddenly found themselves in an unreal situation would. There is no outwardly visible karma meter or “so-and-so will remember that” comments in the game, but your words have meaning. You dialogue choices will effect how the other kids see you and your relationship with them. Occasionally you come to linchpin decision moments that can take you down alternate paths in the game, but mostly the choices are subtlety baked into the experience. A nice change from the “pick blue for good, red for bad” dichotomy of many game's dialogue systems. These conversations are not done in cutscenes or discrete “talking moments,” they're the life blood flowing through the entire game. You chat while walking to the beach, cutting through the woods, while exploring an abandoned military base, and the conversation follows naturally. Jump across a chasm between two cliffs while idly chatting and your friends won't just keep talking about the weather, they'll stop to recognize how badass/insane what you did just was. Same goes for conversations interrupted by spooky transmissions, or sudden, jarring hallucinations. Its easy to picture this backfiring. If the characters were tiresome, boring, or two-dimensional, a game all about talking to them would be a painful experience. Thankfully, the teens of Oxenfree are refreshingly likable. With an excellent script behind some amazing voice-over performances, the teens never wear out their welcome. They're smart, funny, and surprisingly sensible (they mostly just want to get the hell away from the island rather than work out its mysterious history). While the setup is as off the shelf as it gets, the characters don't fit into the Breakfast Club-defined roles you might expect. Alex is a bright girl trying to redefine herself after a life-shattering loss. Her brand new half-brother Jonas (yeah, she's meeting him for the first time at a kegger, it's as awkward as it sounds) is from a bad neighborhood and is implied to have spent a little time in jail. But, he's deeper and more vulnerable than the smoldering bad boy you might be picturing. Best friend Ren is a weird little guy who deals with stress with (actually funny) humor, harbors at least one secret crush, and may or may not be seeing a therapist depending on how seriously you want to take a few throwaway lines. Clarissa is the group's mean girl, always ready with a sharp barb or cutting remark in what is a fairly blatant display of a maladjusted defense mechanism. And Nona, a shy and seemingly unassuming girl who nonetheless has spent most of the semester in suspension, is probably the least developed of the characters but reveals some hidden depth if you make an effort to engage her. In what may be the game's greatest accomplishment, these kids are actually fun to hang around (other than the possible exception of Clarissa). In most horror movies, I usually end up rooting for the machete-wielding maniac after being introduced to the typical gaggle of jerks and dummies of a horror movie cast. In Oxenfree, I couldn't help but be charmed by the gang. When the supernatural creeps of the island finally started getting rough with them, it put a crinkle in my brow and an uncomfortable bend in my spine. I was tense, unsettled. Oxenfree never had to spring a jump scare on me or splatter the screen with blood to wrap me around its finger. It just had to make me care about the kids. Once I did that, it owned me. Aside from talking, the other main thing you do in Oxenfree is tune through a radio. At any time, you can pop out your handy pocket radio and scroll through the channels, finding static, 1940s big band tunes, and the occasional Satanic murmuring from some hell dimension. How very Silent Hill. Scattered throughout the game are various opportunities to tune into tourist information stations that reveal background about the island (and hopefully clues as to what you're up against), as well as secret audio anomalies that function as the game's de facto collectable. These are broadcasts that seem to be coming from another time or an alternate reality. Call me a sap, but I thought the anomalies were genuinely disquieting. It brought to mind the same spooky quality as listening to a numbers station broadcast, or the Jonestown tapes. This is a laid-back game. The vast majority of the experience is just wandering around with your friends, dialing through the radio for the occasional audio anomaly while chatting about school, gossip, and how utterly screwed up the situation you're in is. It's short. You can probably play through it in a single evening if you didn't care about seeing alternate story paths or collecting anomalies. 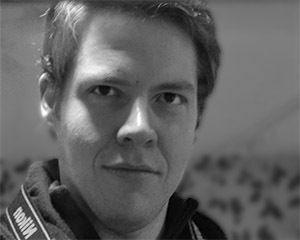 If you wanted to be dismissive and sneer at Oxenfree as another “walking simulator” there isn't much that could be said in its defense. But personally, I think it is an excellent walking simulator. 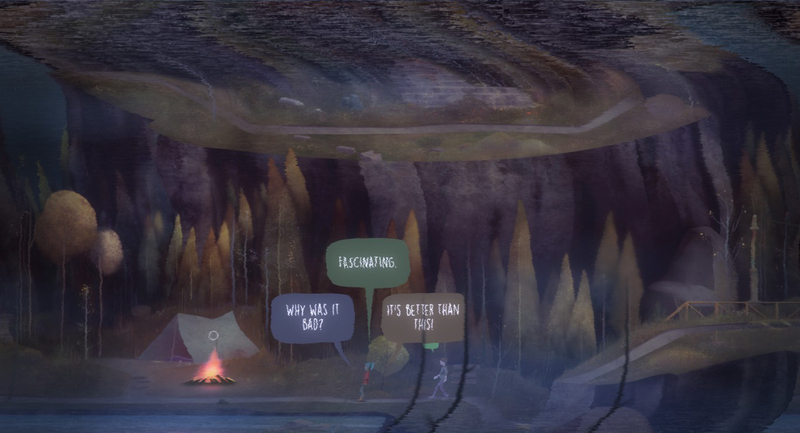 Oxenfree is a walking simulator that is confident enough in its characters and dialogue to bet that you won't mind just hanging around with them. It believes in the sinister low-ebb horror of the island to worm its way into your mind without having to crutch on a jumpscare every few minutes. It knows that its atmosphere and style will be enough to make you want to wander through its forests and dilapidated military bases. It's a walking simulator you should play.